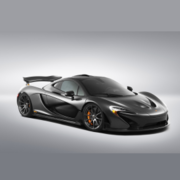 As there is still no manual or description for the new Monitoring feature it is difficult to say. Most of the automatic functions need a "Professional" license, so I do not see a benefit for enabling it. But this is just my personal opinion. Everything is still grayed out after you enable system monitoring in the free version. No values or settings can be changed. I believe the following apply's to the Professional version only and should be removed from the Docs for the free version. Great! Thank you for the hint. I am not sure. Maybe they want to clarify what will be cleaned if you confirm the balloon notification. I think your right that their intention is to confirm what settings will be used when clean is selected. 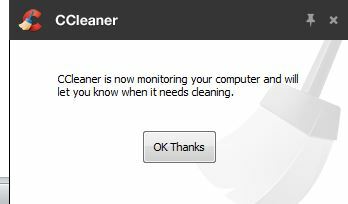 The way it reads now implies that both monitoring and cleaning are automatic. 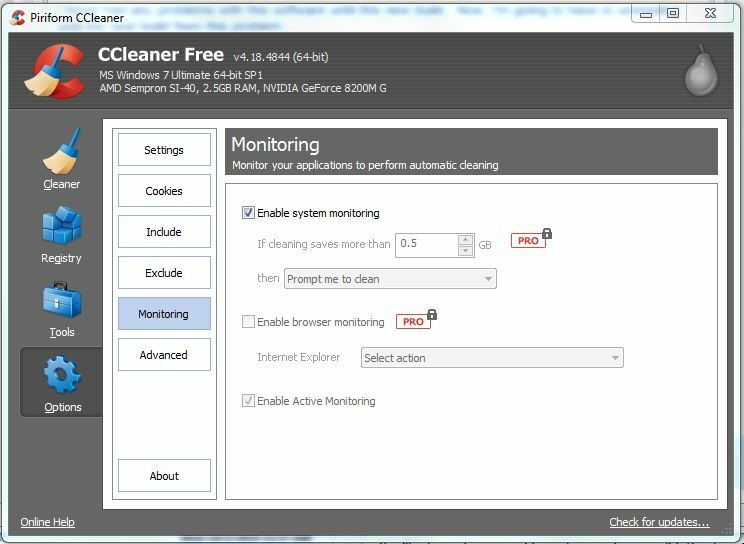 Maybe it should just be stated that "When clean is selected from balloon notification, CCleaner will use the settings in the Cleaner section to clean your PC". Using the same wording to describe the free version implies that cleaning is automatic in the free version. Maybe it's just me that's seeing it this way. I'm unable to install the newest version. The installer gets about halfway and then I get an error message: Error opening file for writing: C:\Program Files\CCleaner64.exe Click to Abort to swto the installation, Retry to try again, or Ignore to skip this file." Then there are the three buttons to Abort, Retry or Ignore. I have downloaded this newest version 4 times and every time, I run into this error. I'm running Windows 7 64 bit, Home Edition. I tried all that and it doersn 't work for me. I tried deleting it from the start-up menu and it comes right back. Anyway to DL an earlier version? I installed this build earlier this afternoon. I cannot uncheck the box for "Enable system monitoring". Meanwhile, I am receiving an incessant popup in the lower right corner letting me know that "CCleaner is now monitoring my computer . . . .". I never had any problems with this software until this new build. Now, I'm going to have to uninstall it until the next build fixes this problem. I think you have to untick the top box first, then the bottom box, then click yes when the warning appears. In that order. edit: never mind, frivolous question, I deleted it. Duuhhh. How to disable monitoring feature while unattended installation (ccsetup418_slim.exe /S /L=1045)?